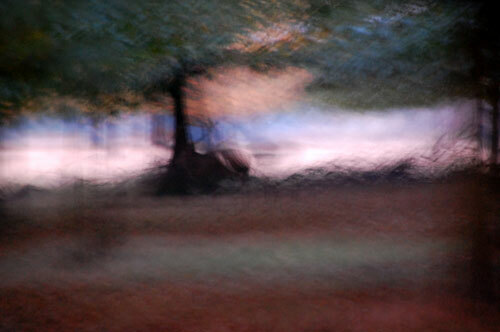 I love this blurred photo of a stag in the woods in Richmond Park. The textures remind me of a painting and the bands of colours create quite a pleasing abstract print. View the exact locations where I took these photos of Richmond Park and Richmond.